Q: What’s better than a single Xcaliber Striper? A: TWO Xcaliber Stripers in ONE! 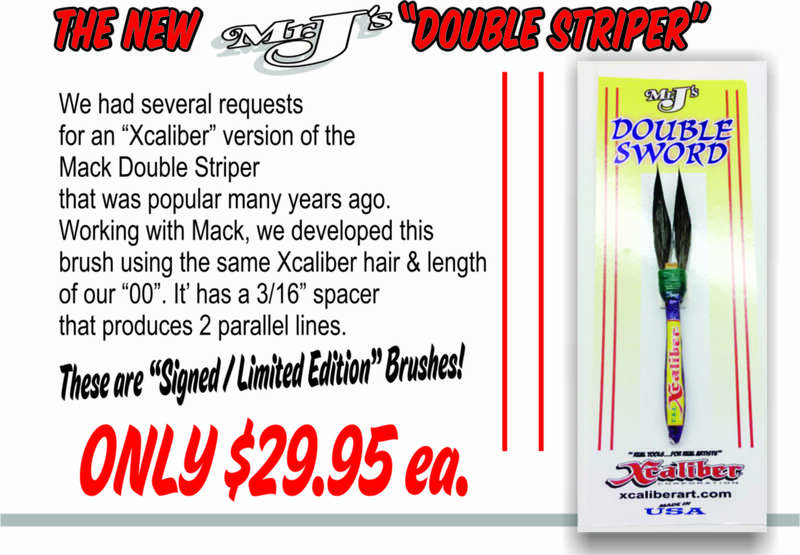 A brand new CUSTOM version of the Mack original double striper. 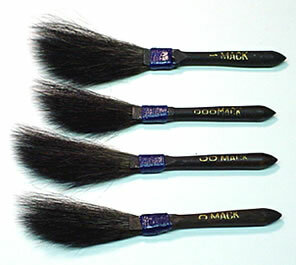 Two (2) Xcaliber stripers combined into a single brush, allowing you to create two simultaneous straight lines. 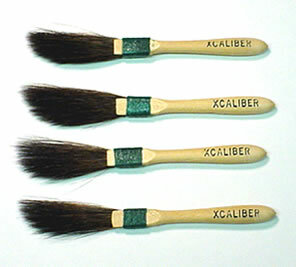 Xcaliber Pinstriping Brushes by Mr. J.